Who says girls don’t like science and math? Not Andrea Beaty whose heroine, Ada uses science to understand her world. A curious sort from a young age, Ada, undaunted by gender stereotypes, explores and questions everything around her to the near panic of her doting parents. Ada Twist, Scientist encourages girls everywhere to embrace their individuality and follow their dreams. 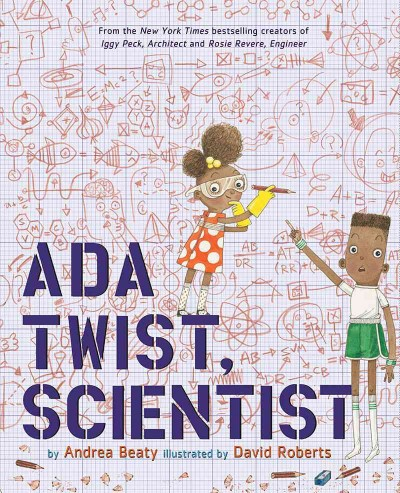 Ada Twist, Scientist is the latest release by Andrea Beaty and David Roberts, creators of the New York Times bestselling picture books Rosie Revere, Engineer and Iggy Peck, Architect. *Books featured in this edition of BookShelf are available at Lemuria Bookstore in Jackson, www.lemuriabooks.com. All selections were reviewed by the Well-Being staff.